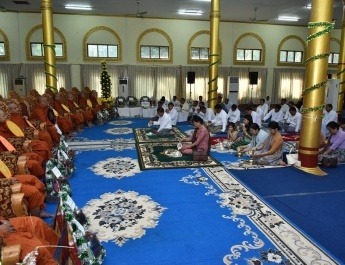 Commander-in-Chief of Defence Services Senior General Min Aung Hlaing received Deputy Minister of Defence of the Russian Federation Lieutenant General Alexander Vasilievich Fomin at the Parlour of Bayintnaung Villa, here, this morning. 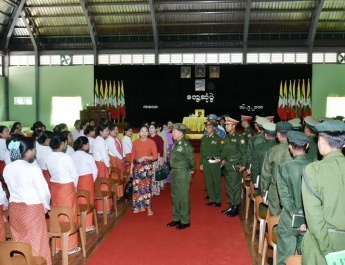 Also present at the call together with the Senior General were Lt-Gen Soe Htut, Lt-Gen Nyo Saw and senior military officers of the Office of the Commander-in-Chief. 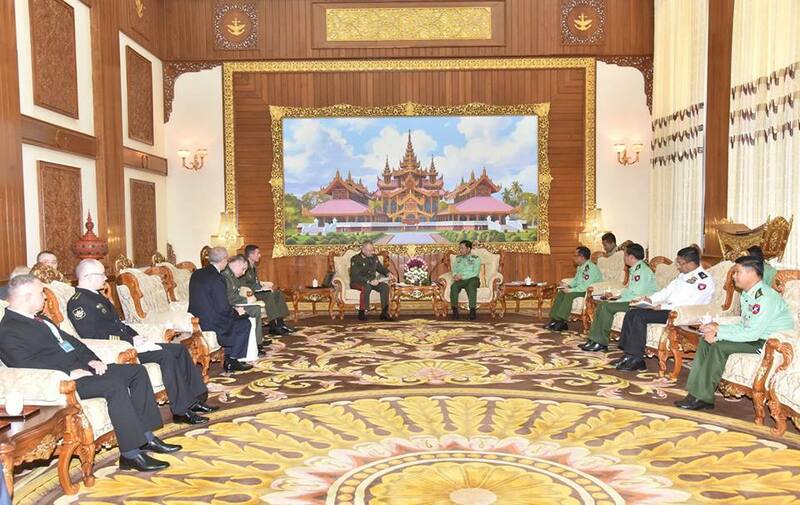 The Deputy Minister of Defence of the Russian Federation was accompanied by Russian Ambassador to Myanmar H.E. Dr. Nikolay A. Listopadov and officials. 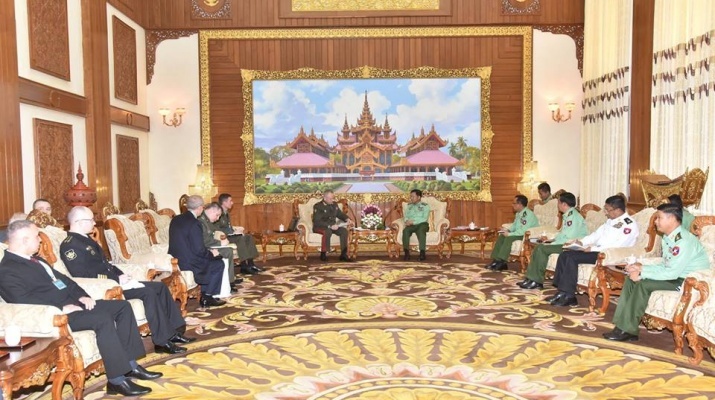 At the meeting, they discussed cooperation in military technology between Myanmar and Russia.